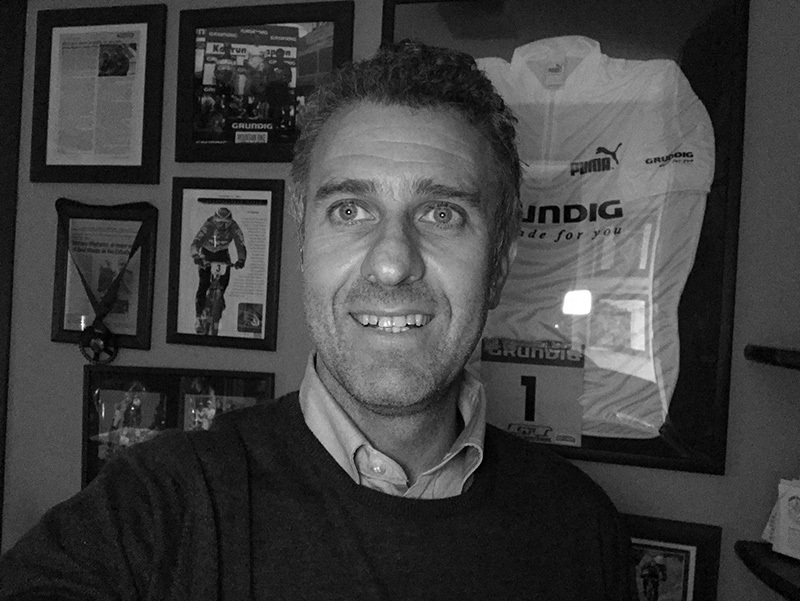 Born from the passion of Stefano Migliorini, one of the greatest Italian mtb riders of the 1990s, united with the entrepreneurial talents of TCN Group founders. "I was very young the first time I jumped on a bicycle. The training wheels disappeared soon, I think I was 3 or 4 years old, trying to emulate my older brother who was racing motocross at the time. Jumps, bumps, hills: I spent day after day in that wonderful terrain." The hobby became a passion, the passion became competition: and at 14 Stefano won the BMX Mickey Mouse Trophy, followed by 10 Italian Championships, 3 World Cups, 3 European Championships and one World Title. Military service brought a temporary pause to Stefano’s cycling, but he began to fall in love with Downhill riding. His comeback was astonishing: first Italian to race in an American Team alongside Tomac, Vouilloz, Furtado and Lopes, Stefano achieved several successes, including a 3rd overall in the 1993 DH World Cup. Stefano traveled the world racing as a pro, until a broken scaphoid brought an end to his competitive career. The years spent in racing, with grueling training programs and the pressure of races, taught him a lot in addition to the honor of wearing the Italian National Team jersey for 18 years. hen Stefano ended his career as a pro, he didn't leave the mtb world. His wealth of experience amassed over many years of racing and unrivalled know-how of this world meant it was only natural he would combine his passion for mtb with his new career. He began working with the top companies within the mtb industry, from clothing producers to component suppliers and bicycle companies, bringing his experience as a racer to the boardroom and becoming one of the leading professionals within the cycling industry. 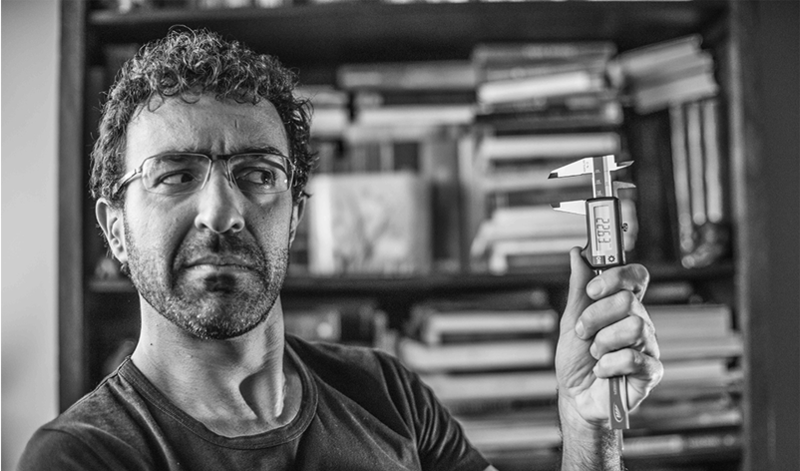 A friendship that was born from a common passion for mtb, Livio Suppo introduced Stefano to the world of e-mtb and an idea to build his own bike, the THOK. Livio shared with Stefano his vision that the birth of the e-mtb levelled the playing field, allowing riders of different levels the chance to enjoy long rides together. This idea became a reality thanks to the meeting with Giuseppe Bernocco and Sebastiano Astegiano, two of Piedmont’s greatest entrepreneurs who head up the TCN Group. Entrepreneurs are men of action. First they identify by intuition, then they have a vision and finally they implement the idea. Many people may have ideas, but only a real entrepreneur turns a good idea into a successful company. "I still remember the faces of Giuseppe and Sebastiano after their first ride on an e-mtb together” says Stefano "They were similing from ear to ear. They were determined. THOK was born that day". THOK needed exclusive and innovative graphic solutions. Celebrated designer Aldo Drudi (legendary designer of rider’s helmets and MotoGP liveries) and Paolo Picchi, head of 3D Style DrudiPerformance, enthusiastically participated in the design of the MIG, defining the style and graphics. Drudi: “For many years we have created liveries for riders, and team clothing, helmets, accessories ... The MotoGP World Championship is our area of expertise since the early 80s. Speed, color, adrenaline, passion for the motorcycle, graphics, design. But this time is different ... the THOK project: an e-mbt essential, practical, technological. Symbiosis between man and machine. Man and technology in perfect harmony with nature. Topics important for our future. This is what THOK is all about. We have colored a project that is pure essence". Aldo Drudi, Paolo Picchi and the guys of the D-Performance made the THOK unique. The THOK had to be innovative. The cooperation with the German based studio of Luca Burzio, the passionate industrial designer with knowledge of the mtb world, developed the bike’s geometry and unreleased technical solutions which produces the best performance. THOK had to meet off-road motorcycle users, even a real champion. For this reason, the MIG was developed together with Toni Bou, 22 times Trial World Champion with the Factory Montesa Honda, who loved the new e-mtb so much that he decided to become its official testimonial. "I wanted to help the guys at THOK. The MIG is the connecting link between bicycle and motorcycle, the perfect union between physical performance and environmental friendly technology"
The first THOK, the MIG Limited Edition, is limited to only 20 units and is dedicated to him.